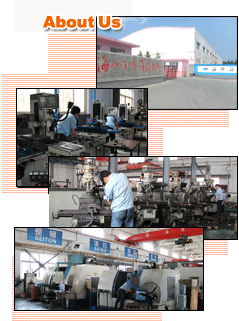 Hiparter ---- Your World-class Dies & Moulds Supplier in the North of China. Qingdao Hiparter Metal&Plastic Products Co., Ltd. is established in 2003. Located in Qingdao, China, Hiparter is a private company,which specializes in stage stamping dies, progressive dies, transfer dies and plastic injection moulds. 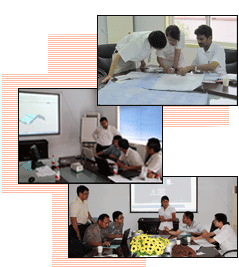 With ISO9001:2008 certified, Hiparter pay more attention to quality, lead time, cost controlling, etc. In Hiparter, there is an innovative, dedicated and experienced team with more than 10 years experience. Here, you can find stamping dies, sheet metal products, and solutions you want from your dies&moulds makers. We use custom software system to track every aspect of the designing and building process to guarantee the quality and delivery time of the dies and moulds. With more than 10 years development, Hiparter can supply you dies&moulds with world class. Almost all of the die base plates, inserts, punches are world standards, you can maitian and repaire you dies and moulds conveniently. Our customers are from both home and abroad, including Haier, Hisense, AUCMA, SANYO, Midea, LittleSwan, KIA, HYUNDAI, TOYOTA, FAW-GM, and so on. Dies and moulds are exported to Japan, Korea, US, Germany, France, Italy, Mexico, Chile, Brazil, Peru, Argentina,Iran, etc. more than 30 countries. Making friends with every customer, providing excellent dies&moulds, and creating more value for our buyers, these are our beliefs forever. We welcome you to explore the possibilities.